At Saint Patrick’s Catholic Primary School we believe that community links are essential in the growth, development and wellbeing of all our pupils. Links with our local community help us to build relationships with groups and individuals who will provide positive role models for our children whether within the world of work, spiritual and moral development or everyday experiences. Examples of some community links we have. Local high schools- Y4-Y6 Theatre productions, Science fairs, Level 6 support for literacy and numeracy. Local library- Reception to Y6 children visit the local library to listen to/ read stories, explore the facilities and join the library. Parish bowling club- Children in year 5 join the local parish bowling club each spring. The children gain valuable experience and skills in the game of ‘Crown Green Bowing’ a game that the younger generation don’t easily get to experience. The Parish Bowling group is made up of a number of older members of our community and they are excellent role models for our children. Weekly Coffee Mornings – Friday is coffee morning, parents and parishioners are welcomed to join. We have a dedicated group of parent who run the mornings and on a regular basis use the opportunity to organise charity/ fund raising events within the coffee morning which our pupils are also invited to join. Local business – Reception –Y6 children walk and visit our local Tesco store. 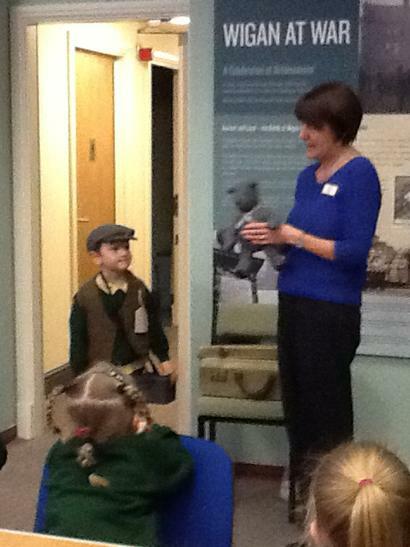 The store offers us a range of experiences to enhance our children’s learning and wellbeing. Reception children visited and had a food tasting session in which they were able to taste a range of foods some of which are unusual. Children also looked at food labels to discover where our food comes from. Barclay’s Bank- Y2- Y6 employees from our local Barclay’s Bank volunteer to come into school to deliver money workshops to our children. The workshops teach the children a range of money skills from opening a bank account to managing a budget. The bank has also offered information and support to our parents at planned coffee morning events again support on handling budgets and setting up accounts. Clubs with Parents- Y2-Y3 Children and parents enjoying out of school Art and ICT clubs. A Staff run club in which children and parents work together to produce something that they can take home, developing communication skills and quality time together. Weekly Mass- Y2-Y6 children attend Friday morning mass on a rota. The children sit together and a group of regular parishioners join the children sitting among them. The parishioners support the children taking part in the mass by modelling the correct ways to join in with the mass. Children gain a lot from the support and experience of Catholic role models. 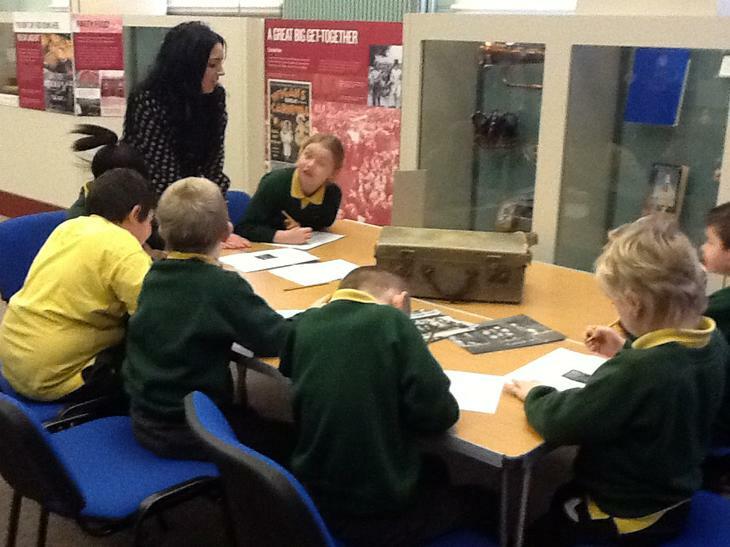 Heritage Centre- Reception- Y6 throughout the year we take the opportunity to visit the heritage centre as much as possible or visitors from the centre come to school. It is within walking distance of the school and enhances our curriculum greatly. The children benefit hugely from the dedicated team of local volunteers who want to share their knowledge and understanding about our local area. Sacramental Preparation- Y4 School supports and helps to foster links between the parents and church. We support in the process of sacramental preparation classes through the use of facilities, links with parents, providing refreshments and ICT equipment. The priest and Catechists from the parish join the members of SLT in the delivery of Sacramental preparation.